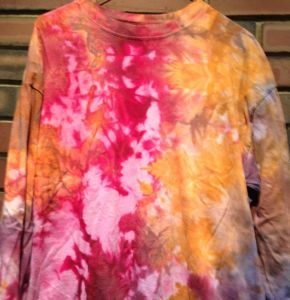 I’ve wanted to try tie-dying a sportcoat for a while, occasionally looking for white cotton jackets in thrift shops. Finally I broke down and bought the cheapest new white cotton jacket I could find, a $60 G by GUESS blazer. The low-water immersion technique seemed best since it might be difficult to fold and tie something like a jacket. 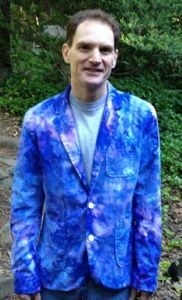 I thought I would keep it a light colored jacket by using diluted periwinkle for the color, but it still came out with strong color (though it’s not as blue as it looks in the photo). Apparently the styling is meant for teenagers with long skinny arms. I haven’t figured out any occasion where it might be appropriate to wear it, but I did wear it to work one day with mixed reactions. I’m told if I wear it unbuttoned, it looks less like a woman’s jacket. 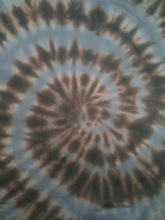 Maybe I’ll try again with a duller color like brown, gray or dark blue. 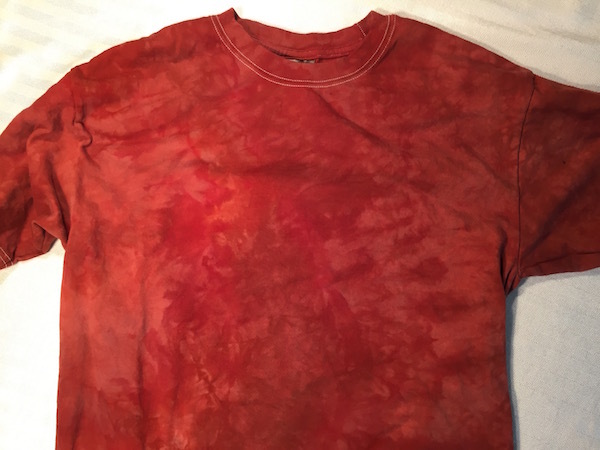 I also did a shirt using a variation of the low-water immersion where I packed the shirt into a tight container and sprinkled dye powder over it and then added water. I put the purple dye around the edge and the yellow dye in the middle. I think it came out very good. For Valentine’s Day, Bonnie surprised me with tickets to a Suzanne Vega concert in Carrboro, which was especially nice since I’m a big fan but Bonnie has only known suffering due to my years of repeatedly humming Tom’s Diner. In any case, we both thought the performance was outstanding. The word that keeps resonating with me is “authentic.” The important things were excellent: the lyrics, the singing, the stories, the music. The other things were appropriately less polished: a hat that fell off, a new song sung with the help of a lyric sheet, missed stage lighting. The small venue helped (300 – 400 people). Her only accompaniment was veteran musician Gerry Leonard, who handled a wide variety of music and even tried to play along when Suzanne Vega sang a verse of her thirty year old country music song (after an audience member request). Pretty simple. 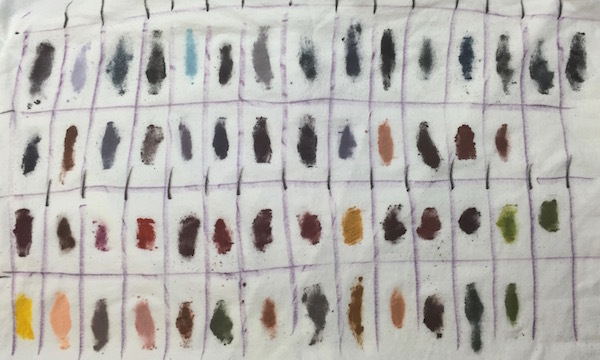 The results are much more random than when you use tying and folding to control the dye pattern. 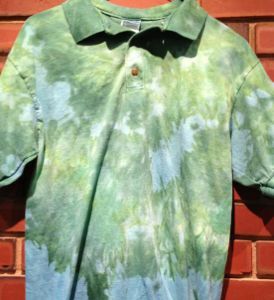 The first shirt was made with a single dye called emerald green. 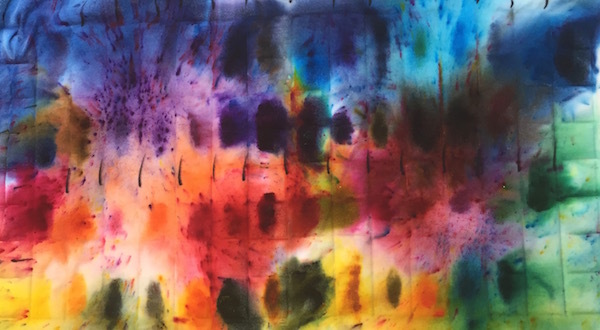 The dye itself is a mix of other primitive colors, and this technique lets them separate a little before the fixer is applied. 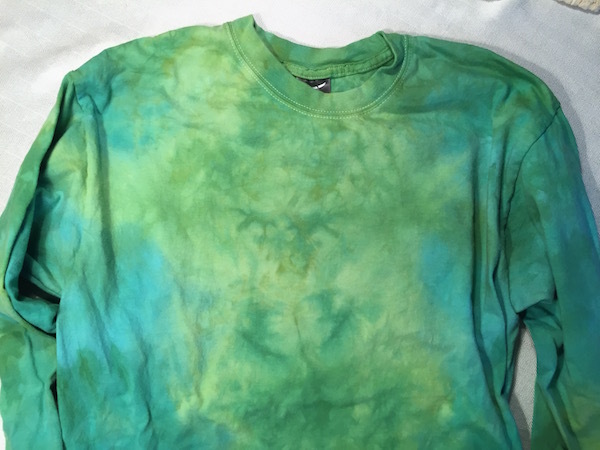 For the second shirt, I put yellow dye in the bottom of the container and azure blue dye in the top. I had been working with color spaces and was imagining I would get something like the yellow-blue axis ( ) in the CIE L*a*b* color space, but I forgot that blue and yellow would mix to make green instead. 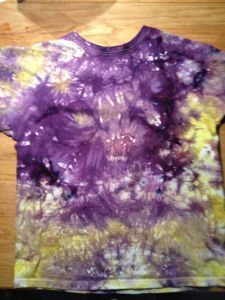 For the third shirt, I included three colors in the immersion: magenta, yellow and lilac. With the help of these three new shirts, I shattered last summer’s “record” of 18 by wearing a different tie-dye shirt for 25 days in a row. I guess I need to add 1.2 days to call it a marathon. Here’s a collage of the 25 shirts, in no particular order. 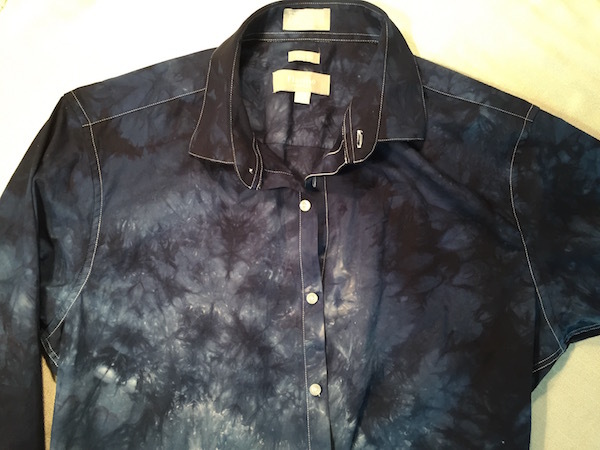 One of the steps in tie-dying is to soak the shirt in a “fixer” solution of sodium carbonate, also known as soda ash. I think of soda ash as a dye-cotton binding agent. 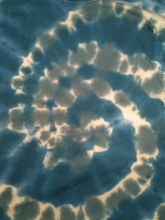 The first brown-red spiral is my usual technique of soaking in soda ash solution before folding. It gets good dye coverage, but looks a little blocky in places. On reason I like this order is that soaking after tying sometimes loosens the folds/knots. This is the Paula Burch technique, since it is safer not to handle the treated fabric. The effect is more pronounced since both the soda ash and the dye are constrained by the tying; however, there is less dye coverage. 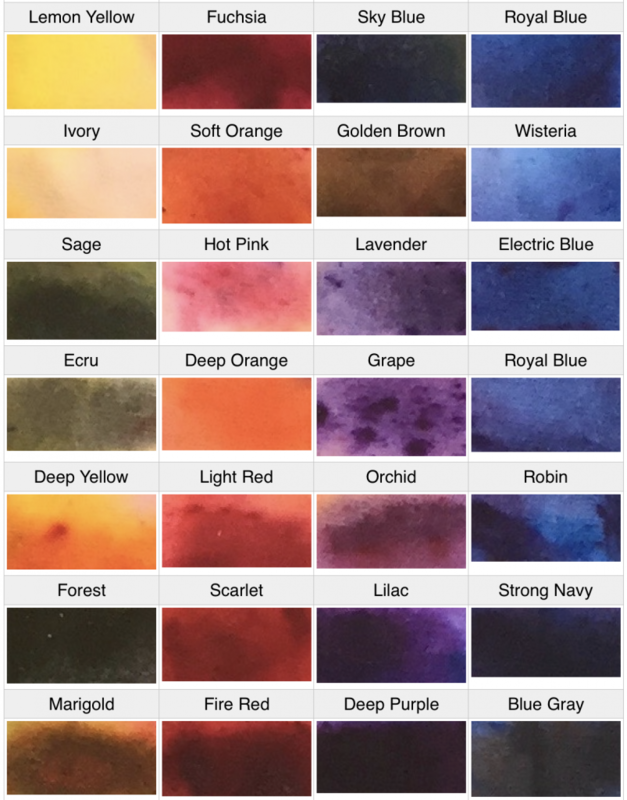 Skipping the soda ash produced a nice pattern, but the colors (brown and periwinkle) already look faded and I suspect they will fade quickly over time. 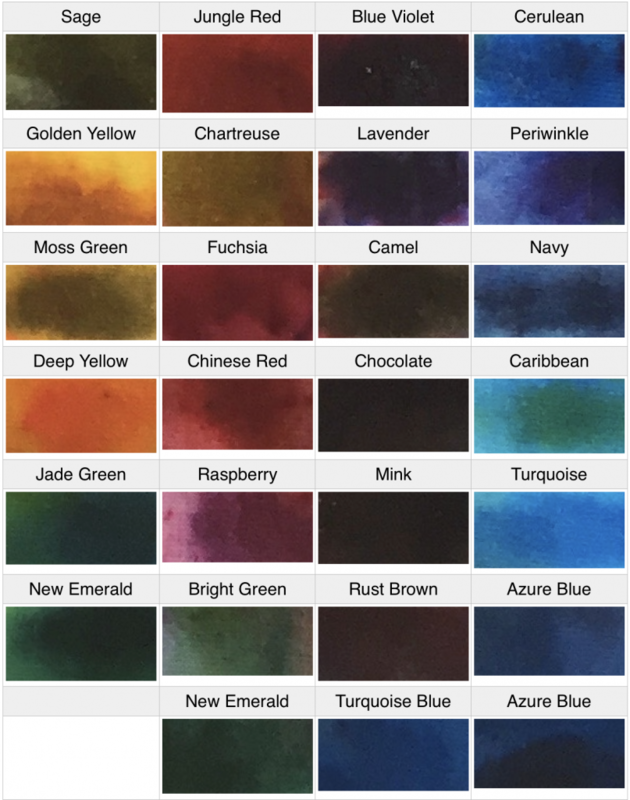 On the other hand, you can view the colors as nicely mellowed. 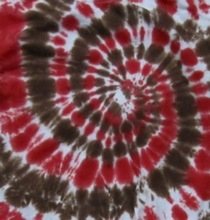 Dry cloth produced bulky folds and really soaked up the dye. The green did not “mellow” well for whatever reason, possibly unrelated to the technique. 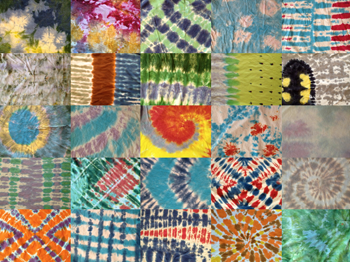 I finished my summer run of consecutive tie-dye day earlier this month with a final count of 18 different shirts in 18 consecutive days, beating last year’s record of 16. I could have done a few more, but I imagine my colleagues at work were tiring of the fashion. 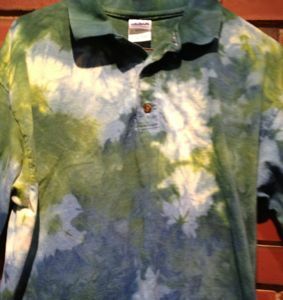 This photo is a my recollection of the shirts I wore, in the approximate order. 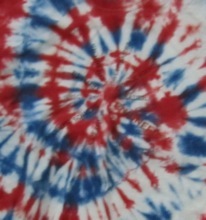 I’m sure, at least, of the three red, white, and blue shirts worn before, on, and after Independence Day. Next year I’ll try to get a photo of myself each day for a definitive record.